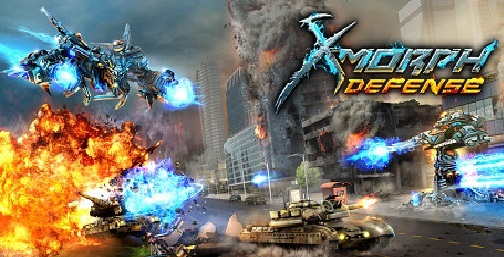 Download X-Morph: Defense (2017) for Mac OS. 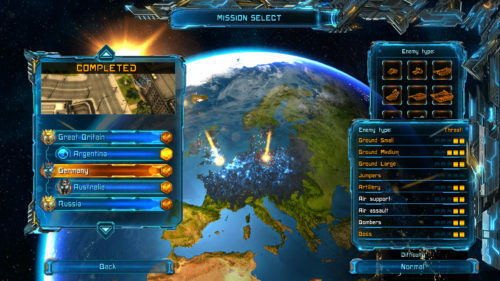 New top down shooter video game with strategy elements developed and published by EXOR Studios. Languages: English, Russian, German, Polish, etc. X-Morph: Defense is a tower defense game where we play the aggressors, an alien race coming to plunder and terraform Earth. Those silly Earthlings deploy armies to fend us off, of course, so we throw up weapons turrets to keep them in their (soon-to-be our) place. It looks to have a nice touch of mazing through destructible environments, letting us blow up bridges and smash down buildings to force Earth forces to take longer routes (and, in the TD way, take more damage). How do we smash the world? Well! — Build your towers anywhere on the map. — Destroy obstacles, collapse buildings and bridges to change enemy paths. 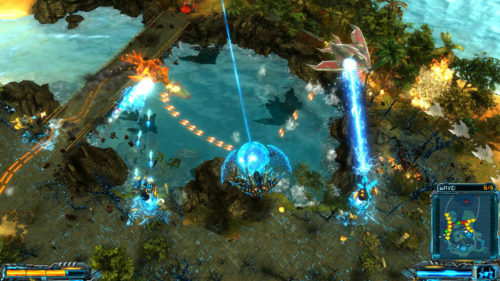 — Connect towers with laser fences that block enemy movement. — Smart enemies — there are no predefined enemy paths. Enemies adapt to the changing battlefield and your tower placement, making e challenge a lot more interesting.